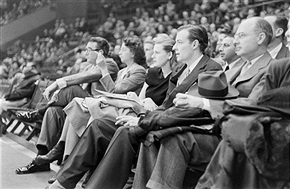 A blizzard couldn't keep 15,000 fans from the inaugural tour match. 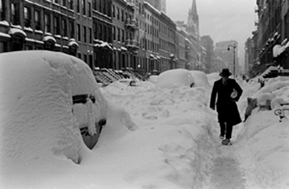 After his loss to Bobby Riggs on opening night of their 1947 tour in front of 15,000 fans in blizzard conditions in New York (Click here), Jack Kramer admitted he had been nervous. He said also that he had trouble adjusting to the indoor conditions and the canvas court. "But that's no alibi," Kramer said. "I got jittery and missed the easy ones."